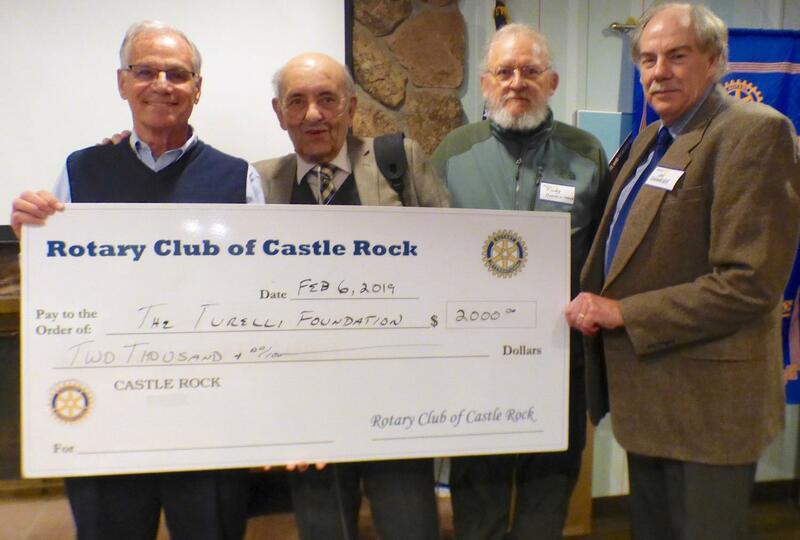 Members of the Turelli Foundation accepted a check from the Rotary Club of Castle Rock to be used to assist divorced couples settle disputes outside the courtroom. There to accept the check were, from second from the left, Richard Turelli, Randy Mustain-Wood and Jim Schumacher. At the left Rotarian Jerry Lionetti looks on. The club meets Wednesday at 7 a.m. at the Village Inn restaurant in Castle Rock. Visitors are always welcome.